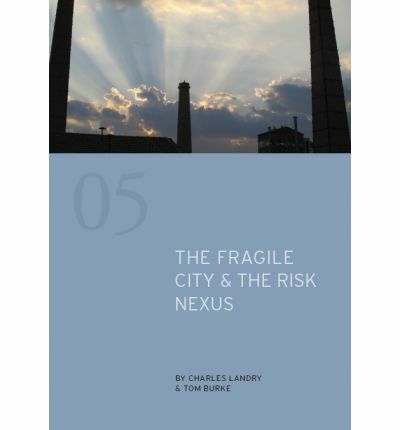 This is a new short book I have written with leading urbanist Charles Landry. It brings together for the first time two disconnected narratives. The first is about the future of the cities in which half the planet’s population now lives. The second is about the interaction of climate change with food, energy and water security – the risk nexus. The success of cities – they are now responsible for 80% of the world’s economic growth – flows from their creativity in managing a torrent of material and social change. Urban politicians mobilise business, public authorities and civil society to deliver collective solutions to shared problems. This allows them to channel the turbulent stresses of city life in more sustainable directions. Climate change threatens the fragile stability that city politicians must maintain. It does so directly by imposing huge additional costs on the physical infrastructure essential to urban life. But it also does so indirectly by undermining the food and water security without which cities quickly become dysfunctional. Cities everywhere have not waited for governments to act. They are nimbler, more able to deliver the innovative and integrated responses required to deal with the risk nexus. But however enterprising and creative they are their own efforts will be overwhelmed if climate policy fails. But governments are hobbled in their efforts to meet this challenge by their lack of legitimate authority. Some have the authority to act but without the legitimacy to command the support of their population. Others have legitimacy but cannot assemble enough authority to act decisively. In both cases city politicians, closer as they are to the base of society, are better placed to respond to climate change. But they are isolated from each other. In our short book we argue that cities, if they are to continue to succeed, must combine together to negotiate a more explicit and binding political contract with their national capitals on how to manage the risks and opportunities of maintaining climate security. Tusk – not as bad for climate as it first appears?